Hello Friends I come from Magelang, Indonesia. 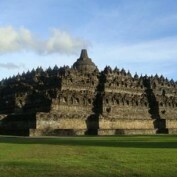 If you want to come to the temple of Borobudur, please contact Me. I will gladly accompany you on your way ........... Regards. Bamboo can be made of bamboo chair seat. Let's try to make the chair is a chair made ​​of bamboo. Bamboo can we make a chair.